3) Suitable for profiling various hard Non-ferrous material, such as granite, marble, concrete and engineered stone. 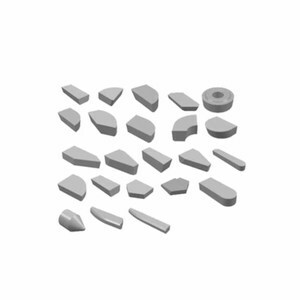 1) The diamond wheel is usually fitted on CNC machines, and it is very convenient for shaping the edge of stone. 2) Suitable for profiling various hard Non-ferrous material, such as marble, granite, glass, ceramic, hard concrete and brick. 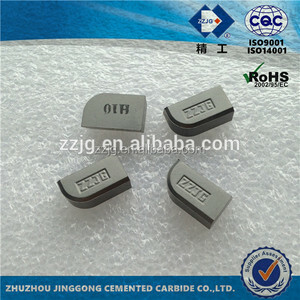 2 YRS Shenzhen Jia He Long Industrial Development Co., Ltd.
, Ltd is a professional tungsten carbide manufacturer located in Zhuzhou City, the world renowned cemented carbide base. Have been involved in this field for over 10 years, we have reach experience in production and research of carbide products. 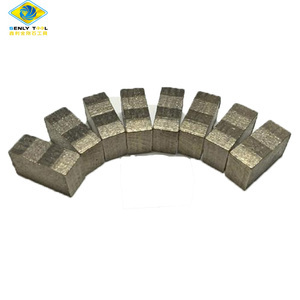 : How to make an inquiry9 Firstly, please mention the enquired product clearly in terms of grade, type or drawing with dimension and tolerance, quantity etc. 3 YRS Ezhou Of Hubei Province Fuli Electromechanical Equipments Co., Ltd.
Tungsten carbide cutter inserts /brazed cutter tools,tungsten carbide brazing insert 1) Full range of types available, more convenient for you to purchase; 2) Various grades available, therefore can provide full machining solutions; 3) Produced with precision molds, the products have better dimensional accuracy and uniform; 4) Careful surface treatment, ensuring perfect appearance, increasing customer satisfaction; 5) Made of top-quality raw material, have more stable properties, therefore easier to braze, also extend its service time. 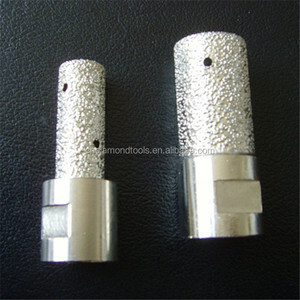 tungsten carbide brazed tip tool 1.For any inquiry, please offer us the size and materials. 2. 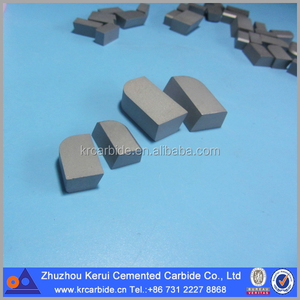 As you know, XR-carbide is professional manufacturer of carbide products. Our products have been exported to more than 50 countris. 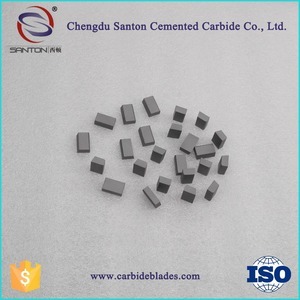 2 YRS Zhuzhou Good Cemented Carbide Co., Ltd.
10 YRS Yueqing Nanfang Cemented Carbide Co., Ltd. It is divided into cutting inserts, wear parts,mining tools, profiles and hard-facing material in terms of the basical applications. If you are interested in any product or have any question about it, please contact us directly. 3. We own a factory, products manufactured by ourselves and OEM products available according to your drawings or samples. 8 YRS Zhuzhou Hongtong Tungsten Carbide Co., Ltd.
5 YRS Fujian Nanan Xin Pulifei Diamond Tools Co., Ltd.
2.Experienced staffs answer all your questions in professional Manner, proficient in English. 6. Long term factory partners in advantage industrial belt, easier combination sourcing. Your comments and suggestions will be warmly We have been developing new products and improving our service. 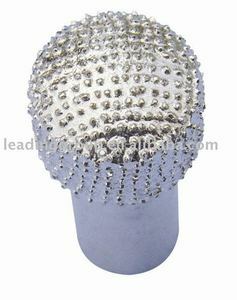 Alibaba.com offers 13,923 brazed tool products. About 10% of these are saw blade, 1% are other hand tools, and 1% are other tools. A wide variety of brazed tool options are available to you, such as machine tools, cutting tools, and assembly tools. You can also choose from stainless steel, metal, and steel. As well as from free samples, paid samples. 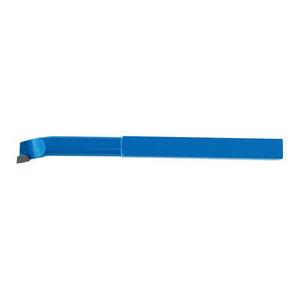 There are 13,923 brazed tool suppliers, mainly located in Asia. The top supplying country is China (Mainland), which supply 100% of brazed tool respectively. 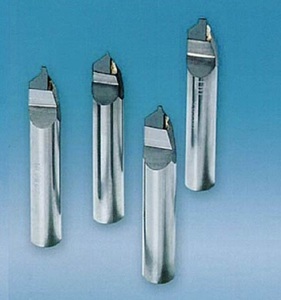 Brazed tool products are most popular in Mid East, Domestic Market, and Western Europe. You can ensure product safety by selecting from certified suppliers, including 6,816 with ISO9001, 1,242 with Other, and 1,131 with ISO14001 certification.